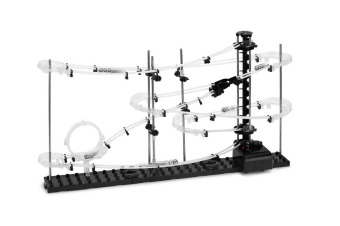 This exciting toy rollercoaster provides endless fun! DIY construction – a rewarding challenge! The DIY Glow in the Dark Toy Rollercoaster is bound to delight children and adults alike. 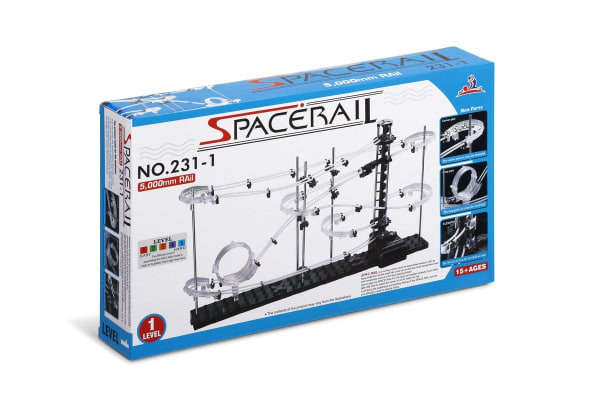 Enjoy the challenge of putting it all together, with the end result being an impressive rollercoaster set that you can be proud of! 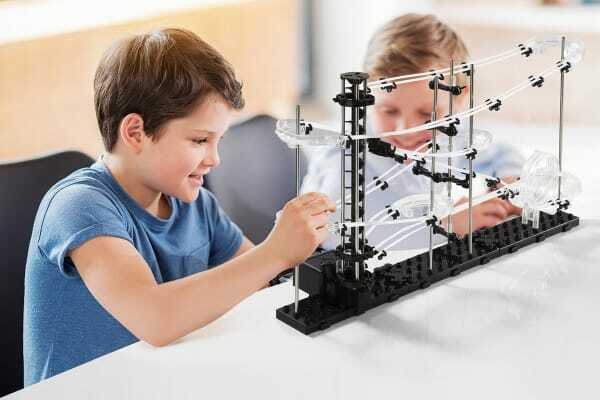 This rollercoaster set comes equipped with an elevator that takes all the pieces from the bottom back to the top in a continuous loop. Warning: not suitable for children under 3 years of age. Small pieces and marbles may present a choking hazard.